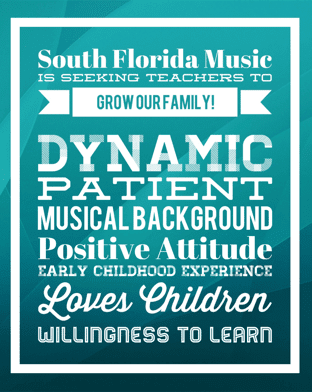 South Florida Music is seeking qualified individuals to join our teaching team. Fill out the form below to begin your application, and our Director of Development will be in contact. Thank you for your interest in South Florida Music!